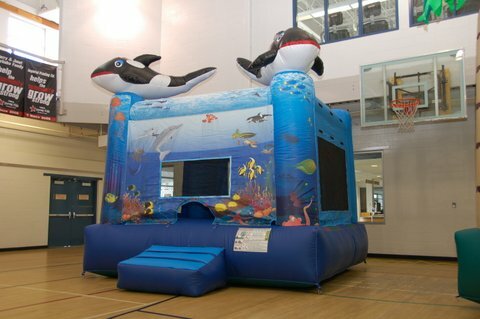 Under the Sea Inflatable Come jump with your friends under the sea. Dolphins, fish and whales -­‐ who knows who you will meet? 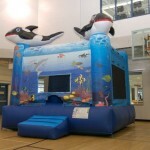 Bright colors and aquatic images make this bounce house a great choice for Pirate or any water themed party.